Blog updated on March 7, 2019 10 Comments Any post on this site may contain affiliate links. If you use them they cost you no extra. We make a small commission. I am a chef. 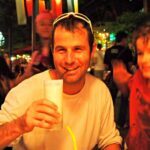 I’ve been travelling and semi-location independent for over 3 years. During that time my wife, kids and I have visited 5 continents, 40+ countries and spent more time together than any chef family I know. I’ve not missed a Christmas and that’s a big deal. We’ve found a new way of living with a better balance of work less and travel more as a motto. In part we have changed our lifestyle through online earnings. 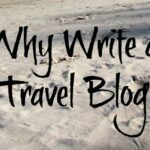 My wife owns several travel websites and makes a living through affiliate marketing as a travel blogger and through selling advertising on her sites. This site is starting to earn us money too. But up to this point I’ve worked part time as a chef, less than half the year, to boost our travel fund when we needed to. We are working to become digital nomads, to totally fund our travel lifestyle through location independent online endeavours. Four years ago I was an Executive Chef working 60 plus hours a week with 4 weeks annual leave plus public holidays. Of course, as a chef, I rarely managed to take holidays and after 5 years had nearly 2 years of holiday unused. We all know what that’s like. Sure we had the occasional week or two in Thailand or Bali but there had to be more to life than a few weeks a year of travel and being together as a family. Don’t get me wrong, I love cooking and working in professional kitchens but with a young family the balance just wasn’t right anymore. My wife and I devised a plan to allow both work and travel to flourish, making it work financially and practically. I wanted to work a few months of the year and travel with my family the rest. I’m always being asked, so I think it’s time to explain how we’ve pulled this of. It comes down to four main parts, all different, all important. LOCATION, WORK ETHIC, LIFESTYLE and SKILL LEVEL. Work Less and Travel More. Location is an important factor for a number or reasons. You would find it very hard to support a home and mortgage in a fixed location as a part-time chef, we figured out that travel makes our expenses far lower and life more enjoyable, so that’s what we do. We travel at least half the year and I slot in a few months of work when I can. Back in 2014 we chose to live in London for several months to break up our global travel adventure. We’d depleted our savings and I needed to top up the bank account with my chef’s earnings. My wife’s websites pull in a reasonable income, but back then it wasn’t enough to support a family of four. AirBnb can be a good option in London, particularly in summer when families take off on long holidays and want to make some extra money with their homes. We’ve recently found a month-long stay in an expensive part of London for just £60 per night. A hotel or apartment will cost you £80-125 for 4 people in London. We’ve also previously taken a short-term lease for 8 months, the price was about the same as the AirBnB rental above. AirBnb is something you have to sign up for, use our link to receive a discount on future stays. Our first time back in the capital we stayed at a hostel for a week while I searched for work. With so much work on offer I could pick what terms I wanted and generally what was going to be best. My wife and kids always have a great time in the city, London offers kids so much and she, being a travel blogger, gets loads of free admissions and perks in exchange for publicity. They’re really cool with our living arrangements, whatever they are. Back in 2014, looking for a casual, well-paying job and having contacts in the city, I sent out emails and landed a few interviews straight away. I also signed up with hospitality recruitment agencies, both permanent and temp and again, was given numerous interviews. The danger became that I’d attend interviews full-time and not actually get around to any paid work. Being honest with what I wanted straight up cut a lot of wasted time down. I didn’t say I wasn’t going to be in London full-time for the next 10 years and never claimed I was looking for a full-time position. People appreciate that honesty and it allows everyone to be on the same page. With so many restaurants and hotels in London the needs and demands vary greatly. 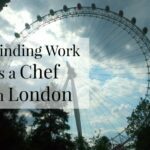 I was lucky enough to land a job as a casual chef in a hot hotel with an agreed hourly rate where I could come and go as I wanted. While there I could work as many hours as I liked and be paid for them all. I didn’t get holiday pay or sick pay, instead that was lumped into my hourly wage. This brings me to the second most important aspect which is work ethic. Nearly all the chefs I know have a great work ethic, certainly when compared to the average working Joe. But like anything in life there are those that don’t have it. For this new work:life plan to happen you have to have a great work ethic day in, day out. I only get paid when I’m actually working. As a casual temp chef you are of course at risk of being laid off when business is slow. A rarity in London and really only something that happens around Christmas and January. These are the times I always take off anyway to be with my young family for the holidays and to ski in Romania, no problem there. If the work dries up at any other time, easy, we take off to Thailand, Romania or Mexico and live cheaply for a while. You need to be the person that the head chef always goes to when they need that extra help. You have to become indispensable, which is easier than people think, but does take dedication and hard work. I’ve never actually said no, I can’t cover this shift, nor do I worry which department they put me in. I routinely work 70+ hours a week and during November and early December can increase to over 80 hours. The last three months from September through to Christmas I worked 6 day weeks only ever having Sunday off. Don’t feel sorry for me as it was my choice and I did it all with a smile. That is important because no one in a kitchen likes a whinger. If you are going to make this work and do the job then you have to do it well and with enthusiasm, that’s another reason chef will keep coming back to you time and time again. All the senior managers at the hotel know I can and do cover all shifts as they need them and so I become the first person they ask. I’ve been coming back to this same job from time to time ever since. After working hard for a while you enjoy that pina colada on the beach even more! 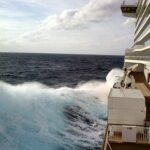 Skill level is the last missing ingredient that goes into making this travel lifestyle work. If you don’t have loads of experience it’s still possible, but you won’t get as many opportunities or as much money. I have 20 years experience in 5 star hotels and restaurants from apprentice to executive chef. I can put myself out there in any type of kitchen from banqueting to fine dining and everything in between. I can run teams in any of the kitchens and understand what the chef wants whether it be food cost control or an unbeatable mind-blowing dish. The most important thing here is to play your strengths. If you are predominately banquet based don’t say you can do fine dining or if you have only done fine dining don’t say you can run a banquet for 1500. 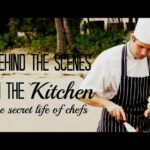 Nowhere quicker will you be found out than in the kitchen where actions are essentially everything. In my current job as I move between departments chefs ask how does that other department work? How do you serve a 3 course meal for 1500 insides of 60 minutes? Or how does the plate-up and cooking work when everyone orders differently and hits the restaurant at exactly the same time? How do you set up the lounge buffet display for the evening? Educating yourself in all the operations of the establishment will go a long way to making you indispensable. Working the way I do I now have the lifestyle that I want. I recently finished reading Unworking by Clark Van de Venter, a great book on how he dramatically changed his life. Not a rags to riches tale but one of high earning conventionally successful man to a traveling non-conformist homeschooling dad. So much of the book rang true with me and I’d have to recommend reading it to anyone who is remotely thinking of changing their lives around. Our lifestyle now encompass the world. As a family we sit down and decide where we want to go. Not just for a two week holiday but for months at a time. Can you even imagine being able to do that? This year we skied through January before spending a month in Sri Lanka, kids choice, followed by Nepal where we trekked the Everest region A few weeks in Dubai came either side of that before a European road trip back to London. Who knows where we will end up at the end of the year or next year but Asia, Mexico, Iceland and West Africa are likely. Without being shackled to a job or a holiday calendar we are free to choose whats best for our needs and likes. So many people at work ask me how I do it. That I must be some sort of millionaire. These same people normally have more yearly income than me, nearly all have the latest and greatest £500+ phones and they all spend every cent they make. Quite a few have partners working regular jobs, meaning they bring in double what we have money wise. It’s about working out what you want to do and following that dream. People work so hard to clutter up their lives with worthless junk and stuff we are told we need and must have. If you don’t buy all that stuff imagine the money you’d have left over to travel. Do you need a 75 inch TV? If you do and that is your happiness then that’s fine but if not, change it. We have done that and hopefully I’ve shown you that it is indeed possible as a chef to do this. 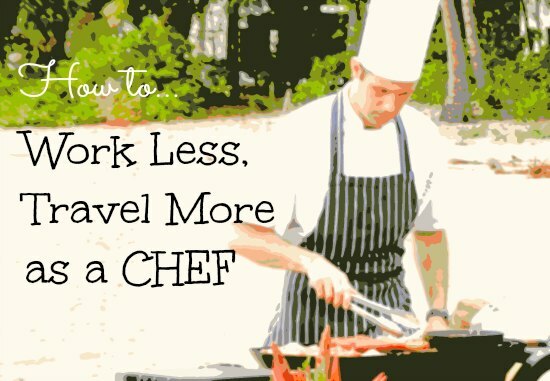 In fact being a chef is one of the easier career choices for travel. Which is one of the benefits people told me of 20 years ago when I first started in the industry. They just didn’t realise how far I was going to travel or how long! It helps us if you hit like and share, it spreads the word.Please save this pin to Pinterest, thanks! Sign up to follow our journey here, you’re 3 years late, we’ve been living this way for a while, we’re not stopping. Enter your email address and the next post will arrive in your email, it’s totally free. 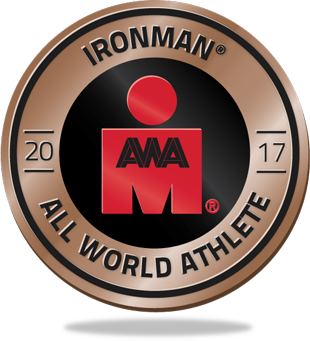 Thanks for being here on this largely neglected website, once I’m out of the kitchens and Wales Iron Man is in the bag, we’ll be travelling and blogging again. 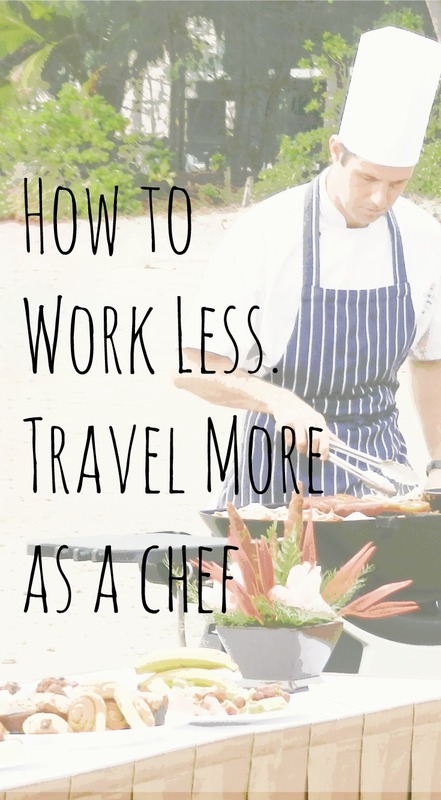 Tell me in the comments, what do you want to read here about being a travelling chef? This is so great! Thanks for explaining the chef side of it! But I’m sad because I just booked our vacation through Air B and B and didn’t feel you have a link or it would have used it! My husband just did a restaurant opening in Vegas, and ended up booking two huge homes through Air B&B for the training cruel as it was so much cheaper than staying at a hotel. We’re trying it for the first time as a family soon. Glad to know you guys use it and have been happy with it. We use it very rarely Jennifer, we normally find that hotels and guest houses are cheaper, but for London it works and we once used it in Guatemala for a 1 month stay. In the last 3 years we’ve only used it twice, but it has it’s uses. Hope you have a great and well-deserved holiday! This post was a great read! I am glad to read that you can travel so much! You mention that your kids are h9me schooled. How does that work with an almost teenager? wow work less travel more. Awesome and interesting after all one of life’s best experiences can only be gained through travel. My husband and i and planning to travel aroud the states. Im wondering how to become a traveling cook/chef or any resoucres that your have when help. Thanks for taking the time to read my post. My best suggestion would be to have a brief CV outlining your strengths and talents. Do some research on the places you’ll be visiting and may want to work in. If you can get names of people that will be in charge of hiring that is an added bonus. The more experience you have across a wide range of kitchen environments will be invaluable as the jobs people normally need doing are varied and hard to fill with local chefs/cooks. Good luck with your travels next year. Is there work for a traveling pastry chef or is that too specific a kitchen position? I also cycle which is why I want to travel. How do you get in your training while moving around? sorted then most places are short staffed across the whole kitchen including pastry. Where are you thinking of traveling to? I’m really interested in the working my way as a chef while traveling. I’m at a perfect time of my life right now where I have all the criteria needed.